This lovely apartment is located in the ideal location, namely directly on the slopes of the famous Rohrmoos - Schladming. Every year, the recurring event for the World Cup Night Slalom takes place in this ski area, which creates plenty of atmosphere and experience in the famous Schladming. In the apartment, which is cosily decorated, you have access to a living room with balcony or terrace so you can enjoy a beautiful panoramic view of the Dachstein. The apartment also has a well-equipped kitchen, a bathroom and two bedrooms with a comfortable bed to wake up in. If you are six people, you can convert the sofa in the living room into a bed for 2 people. A major highlight is that the resort has a huge spa of 430 m², including a Finnish sauna, a steam bath, showers, relaxation room, massages (for a fee), you name it. Nothing is too crazy here! Rohrmoos has a great location with panoramic views, which connects to the ski area of Schladming - Dachstein. Rohrmoos is especially interesting for people who love peace and quiet and an open space, and it is also known for its many excellent piste restaurants. The famous village of Schladming is just around the corner, where there are some cosy bars and inns, or where you can go après-skiing. 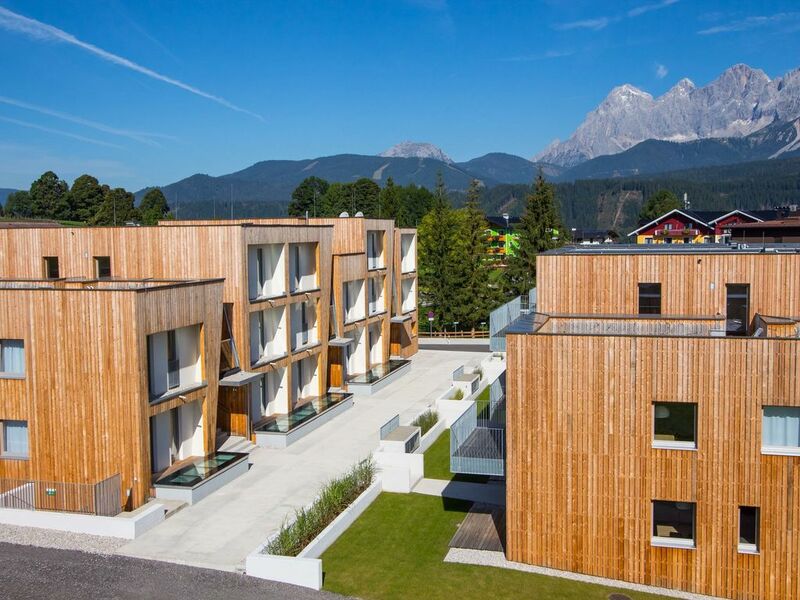 Outside the winters, it is also good to stay in the beautiful Schladming in summers. This includes sights in the immediate vicinity, the major city of Salzburg which you can reach in 1 hour. There is plenty to do for the daredevils among us, including Rafting, Flying Coaster, Paragliding, Mountain climbing and much more. Do you dare to do it?